Cool lion vector graphics. 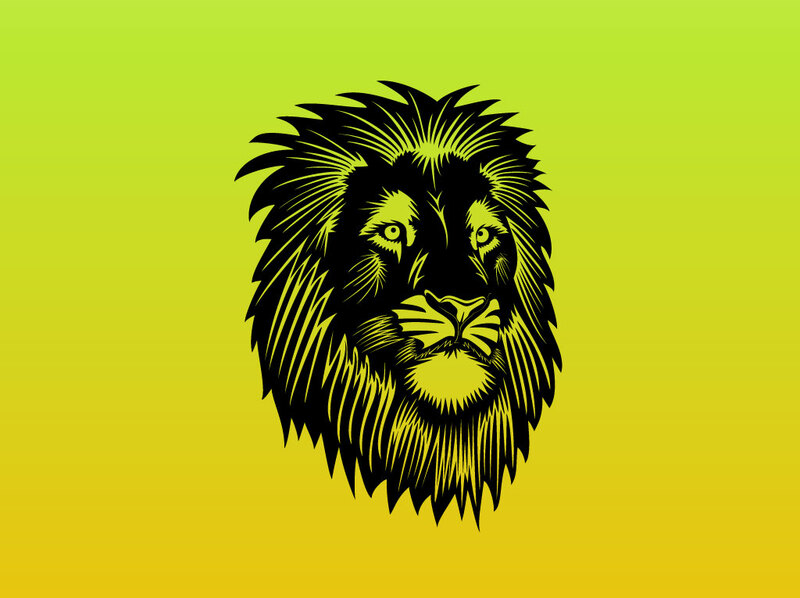 Lions are majestic, proud, strong and powerful wild animals and this one color vector image displays all of those attributes. The free download is featured in black graphics on a green and yellow background image. Simple but imposing and beautiful imagery for tattoos and heraldic influence designs, jungle, safari, African wildlife, travel, adventure and tourism graphics. Tags: Africa, Animal, Jungle, King, Leadership, Safari, Tattoo, Wild, Wildcat, Wildlife.